Perhaps that is because foreign governments and their companies are mostly lobbying about trade deals which are critical for their economies. No other group is ever accused of having too much power and influence. 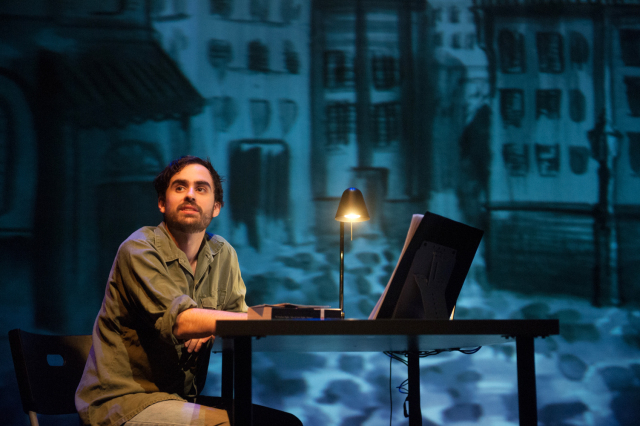 That false claim – dating back to times and places where Jews had little or no influence – is an anti-Semitic trope that tells us more about the anti-Semites who invoke it that it does about the Jews. “The truth is that if Israel were to put down its arms there would be no more Israel. If the Arabs were to put down their arms there would be no more war.” — Israeli Prime Minister Benjamin Netanyahu. When Jewish power and influence are used in the cause of peace and justice — as it is today — there is nothing to be ashamed of. It should be a source of pride. Michel Bacos, the pilot of the Air France flight from Tel Aviv which was hijacked in 1976 and landed in Entebbe, has died at age 95. In July 2016, I was part of Prime Minister Benjamin Netanyahu’s visit to Entebbe to mark the 40th anniversary of Operation Jonathan, named after his brother, Yoni, who was killed. Relatives of Jean-Jacques were also on the flight with me. I told his sister that I was very sorry my father had died two years earlier, so I couldn’t tell him about meeting her. Bocas never thought he deserved any prize or citation for asking his crew to stay with the Israeli passengers, whom the Arab and German terrorists separated from the rest of the passengers upon arrival in Entebbe. Later, he adopted us and we adopted him. He would mostly talk about Sorin Hershko, from the rescue team, who was badly wounded in the operation. He often visited Israel and the two even met in France. Bacos talked about Hershko as a hero and we say that Bacos was one of the heroes of Entebbe, as well. Michel Bacos loved the sky and it loved him. On Tuesday, the heavens decided to keep him. May his memory be a blessing. It is in paragraph six that we learn “Also in late 2016, Tarrant visited Serbia, Montenegro, Bosnia and Herzegovina, and Croatia, where he stopped by historic battle sites, before travelling in Western Europe in 2017.” Yet the headline would suggest Israel is somehow special and there is comment from unnamed “Israeli officials” but no other nation’s officials are sought for comment. Another, more concerning and explicit connection was expressed by Ahmed Bhamji, Chair of Masjid e Umar in Mt Roskill, a mosque affiliated with FIANZ. At a rally in Auckland in front of around one thousand people and in a video that was seen more than 2,500 times, he said. Newshub spoke to Love Aotearoa Hate Racism co-founder Joe Carolan, who said Bhamji was one speaker out of 30 and there were many different points of view at the event . . . . In a speech he delivered on March 13 in which he spoke about Netanyahu, Israel, and the Palestinian issue, Turkish President Recep Tayyip Erdoğan said: “We have never oppressed any Jew in this country… Do not provoke us.” In a different speech he delivered on March 18, 2019 at a ceremony commemorating the Battle of Gallipoli, Erdoğan said that Turkey’s enemies are testing its patience and decisiveness by challenging it in the Middle East in various ways, in Europe by perpetrating attacks against mosques and Muslims, and within Turkey’s borders by attempting coups, attacking its economy, and “forming dark alliances.” He also said that Turkey’s enemies are testing it with “the messages that they send,” such as the New Zealand massacre. He said: “We understand your feelings and your intentions [and] what it means that one terrorist appeared and killed 50 Muslims… This is not an individual event. This is with an organization.” He threatened to fight Turkey’s enemies the same way Turkey fought its enemies in the Battle of Gallipoli. He also said: “The expressions of [Netanyahu’s son] are the same as those of the terrorist in New Zealand. They are being fed by the same source.” In another speech the following day, Erdoğan said: “You will answer for this. If New Zealand does not bring this to account, we know how to bring it to account.” Erdoğan’s speeches were aired by Anadolu News Agency (Turkey). “We also with that Allah will not put this nation again to such a test as [the Battle of] Gallipoli. “However, if such a situation should ever take place, be sure that – just like 104 years ago – we will never hesitate to bury those enemies in the soils and waters of Gallipoli. Jews and Christians living in the West, and Europe especially, need to increase their vigilance against jihadist violence in the aftermath of the murder of 50 people at a mosque in Christchurch, New Zealand. That’s the warning from Michael Armanious, a Coptic Christian who has been living in the United States since the late 1970s and monitoring anti-Western and antisemitic propaganda on Arab social media for over a decade. “I’m hoping people will pay attention and be careful,” he said. Freshman Democratic lawmaker Ilhan Omar on Tuesday launched a Twitter broadside at Prime Minister Benjamin Netanyahu after he singled her out during his speech to AIPAC, accusing him of ignoring real issues like the Pittsburgh synagogue massacre to focus on her. Rep. Ilhan Omar (D., Minn.) hit back at House Speaker Nancy Pelosi (D., Calif.) following the speaker’s comments during a Tuesday speech at the American Israel Public Affairs Committee conference where she condemned the Boycott Divestment and Sanctions movement against Israel. “We must also be vigilant against bigoted or dangerous ideologies masquerading as policy, and that includes BDS,” Pelosi said at AIPAC. 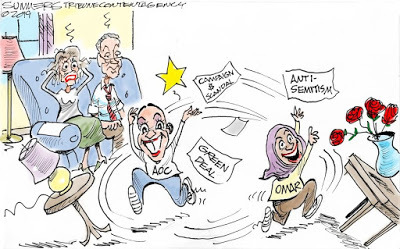 “A condemnation for people that want to exercise their First Amendment rights is beneath any leader, and I hope that we find a better use of language when we are trying to speak as members of Congress that are sworn to protect the Constitution,” Omar said. 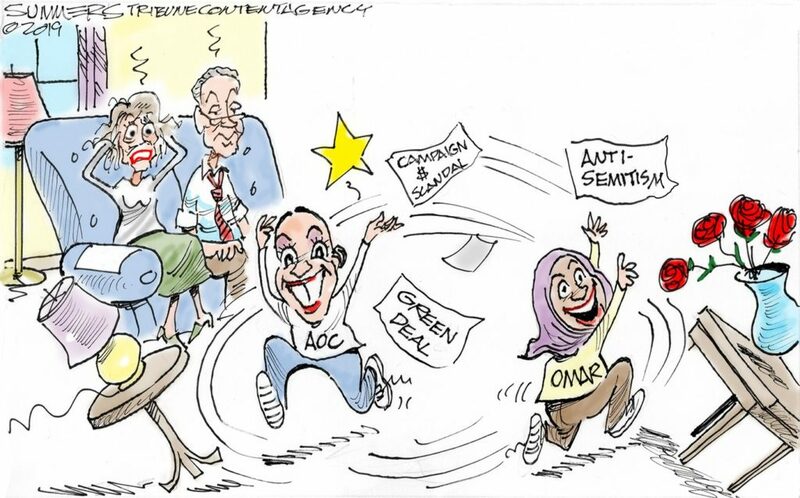 Omar turned away from reporters and would not respond when they asked if she believed that Pelosi’s comments were directed at her and fellow Rep. Rashida Tlaib (D., Mich.), another BDS supporter. “In our democratic societies, we should welcome legitimate debate at how best to honor our values and to advance our priorities without questioning loyalty or patriotism,” Pelosi said. “Anti-semitism is a right-wing force Anti-semitism is a right-wing force Anti-semitism is a right-wing force Anti-semitism is a right-wing force Anti-semitism is a right-wing force Anti-semitism is a right-wing force Anti-semitism is a right-wing force,” Slevin said, quote-tweeting Omar’s tweet. Conservatives pushed back against Slevin, noting his boss’s past anti-Semitic comments, which prompted him to clarify that he was Jewish. On March 26, 2018, British Jews took part in an unprecedented demonstration in Parliament Square against an anti-Semitism crisis which has engulfed the Labour party. Mr Carter, a member of Enfield North Labour Party, had earlier conducted an interview for Press TV, the Iranian state broadcaster, with Marc Wadsworth, who was expelled from Labour over his confrontation with Jewish MP Ruth Smeeth at the launch of the Chakrabarti report into antisemitism. Describing Iran as a “democracy in the Middle East,” Mr Carter told the JC Labour suspended him for “filming and leaking to the press” the footage of the Constituency Labour Party meeting that narrowly passed a vote of no confidence in Ms Ryan in September. Ms Ryan, the chair of Labour Friends of Israel, decided to quit the party last month. The Labour Party has expelled former Momentum vice-chair Jackie Walker, three years after her suspension. 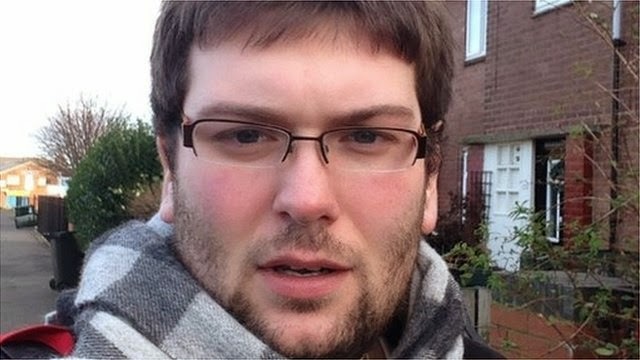 The left-wing activist was kicked out over charges of making comments which were “grossly detrimental” to the party. She was initially disciplined three years ago after saying “many Jews were chief financiers of the slave trade”, before being readmitted after an investigation. She was again suspended in October 2016. The Jewish Labour Movement welcomed her expulsion but criticised the party for taking so long to act. Long-suspended Labour activist Jackie Walker will not face any antisemitism charges at her disciplinary hearing, which finally began today. Three years after she was first suspended for claiming “many Jews” were involved in the African slave trade, around 50 activists gathered on Tuesday outside the Deptford Lounge in south-east London for the start of the hearing into Ms Walker, which could see her expelled from the party. She was again suspended in October 2016 after saying Holocaust Memorial Day should include other genocides – which it does – and that she could not find a definition of antisemitism she could work with. Ms Walker’s hearing – which began on the anniversary of the Enough Is Enough protests outside Parliament – has been cited by many Jewish Labour activists as yet another test of how seriously Jeremy Corbyn is about ending his party’s reputation for enabling Jew-hatred. Instead, Ms Walker – who has repeatedly campaigned under the banner of being a black anti-Zionist Jew – is facing allegations she has been guilty of behaviour that is prejudicial to the party. That was the closest KAN got to an answer from Osiris on the topic of Waters, and the public campaign the former Pink Floyd frontman and obsessive BDS activist waged against him. Its enough to made a BDS’er drink heavily. 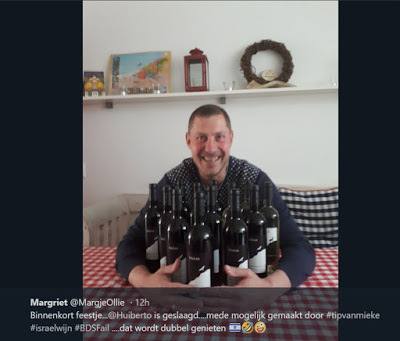 Earlier this week, BDS hole and Electronic Intifada contributor Mieke Zagt posted a photo of an Israeli wine display at the Hema Dutch grocery store on Twitter, claiming the wines were from “occupied Palestinian lands”. 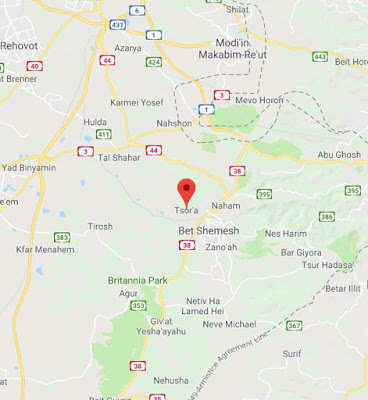 The Efrat Winery is located in Tsor’a, well within the green line. Within hours, #tipvanmieke was trending on Dutch Twitter, and the Hema stores sold out of the wine. 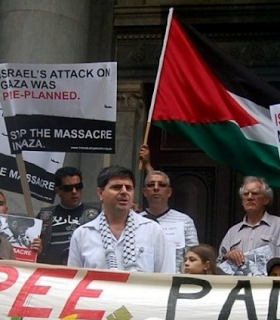 The Palestinian terror group the Popular Front for the Liberation of Palestine (PFLP) is blaming Israel for blocking convicted terrorist Rasmea Odeh from speaking at an event near Berlin. 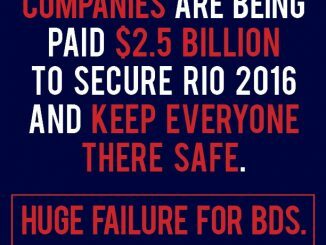 Terrorists in Suits report – the most dangerous threat to the BDS movement. Salah Khawaja, member of the BDS National Council and a “retired” terrorist, confesses that the “Terrorist in Suits” report, issued by the Israel Ministry of Strategic Affairs, is the most dangerous threat to the BDS international movement. If populism, in both right-wing and left-wing manifestations, often promotes the idea that ‘the ‘system is rigged’ by the few to the detriment of the many, antisemitism can be defined as the belief that this system is rigged by Jews. Antisemitism is a malleable, all-purpose conspiracy theory which finds Jews – or Israel as the Jew writ large – at the center of any attempt to understand why, politically or economically, things go wrong. Further, though those who engage in this irrational belief that a minuscule minority – representing 2/10 of 1% of the world population – is controlling global affairs often see themselves as some sort of causation whistle-blower, daring to ‘connect the dots’ wherever they lead. They are ‘speaking truth to power’. Fisk not only levels accusations at mainstream news outlets, like the BBC, for not granting sufficient legitimacy to Syrian claims to the Golan, but argues, in prose dripping with anger, that such “pro-Israel” coverage of the issue is evidence of the broader media’s “grovelling, cowardly, craven obeisance to Israel”, which he maintains is motivated by their “fear of being cast into the accusatory hell of ‘antisemitism’”. A court in Lithuania dismissed an American Jew’s lawsuit against a state museum’s glorification of a Nazi collaborator, citing the complainant’s “ill-based” intentions. The ruling Wednesday in Vilnius was on a petition submitted last year by Californian Grant Gochin. “Me calling for truth against the government machine of fraud is ‘ill based.’ They have no interest in truth — anyone that speaks for truth there is labelled an ‘enemy of the State,’” Gochin wrote on Facebook about the ruling. 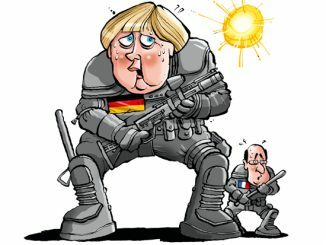 Schuster spoke Monday with the newspaper Neue Osnabrücker Zeitung, which reported that more than 2,000 former SS soldiers outside Germany receive state pensions averaging about $370 a month, plus special health care allowances. Some recipients are non-German collaborators, who were injured while serving with the Nazi forces. They reportedly had been promised pensions by the Nazi authorities. Nagi left for England again just before King Ghazi was killed in a car accident. In England Nagi did a special training course to attain the rank of Captain. When WWII broke out, he volunteered to join the Royal Air Force. With the RAF, he was initially based in Wales where he trained young pilots. He survived the war because he was much more useful to the RAF as an instructor than to fly on missions. ( A pilot’s life expectancy was less than four months, or five missions at the time). Nevertheless, he went on at least two bombing raids in Germany. Arabic Radio Berlin branded him a traitor and bad-mouthed him on several occasions. A few days before the Farhud massacre in June 1941, a firebomb was thrown at his parents’ home in Baghdad. His parents had to go and live with relatives. On the day of the Farhud, the mob broke into his parents’ home and looted everything, leaving the house stripped bare. He had some expertise with bombs and he was sent to North Africa to investigate why certain bombs did not explode on impact. From there he is believed to have visited Baghdad. His nephew Sass remembers that Nagi stayed with his family and the Regent sent a magnificent bouquet of flowers. Nagi went to see the Regent to “pay his respects”. He was also sent on a secret mission in Spain. He went there as an Iraqi civilian using his Iraqi passport. He never gave away any detail of this mission to anyone. He is thought to have visited Baghdad from there too. Nagi was highly decorated and received medals both from the Iraqi and the British armed forces. King George VI of England awarded him a medal and an Administration Certificate. 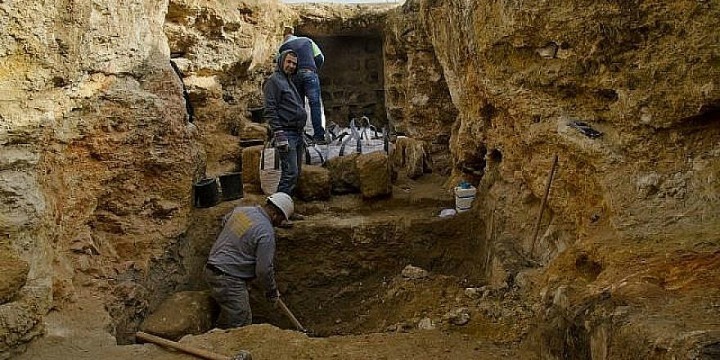 A large Hasmonean-era Jewish agricultural village was uncovered by archaeologists in the Arab neighborhood of Sharafat, with a major, multi-generational burial chamber, olive press, ritual baths, a water cistern, dovecote, rock quarries and jar fragments dating back to the time of the Maccabees, providing concrete evidence of the Jewish history of Jerusalem as far back as 2,150 years ago.